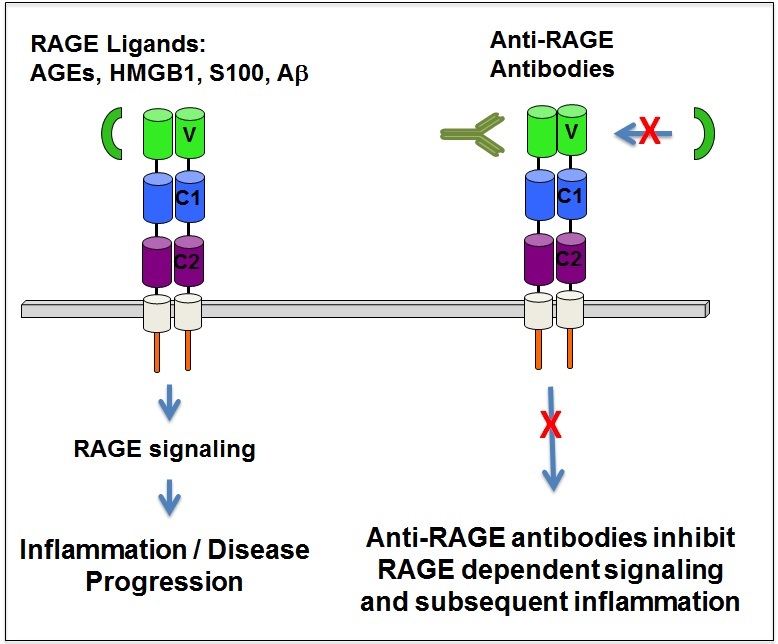 Scientists at NDSU have developed a monoclonal antibody that inhibits activation of the receptor for advanced glycation end products (RAGE) by blocking the V-domain. The V-domain binds multiple ligands that elicit sustained inflammation associated with diabetes, cancer, Alzheimer’s, multiple sclerosis, and other diseases. As a result, this monoclonal has value in research related to a wide variety of diseases. This antibody is available via non-exclusive license for research use only. 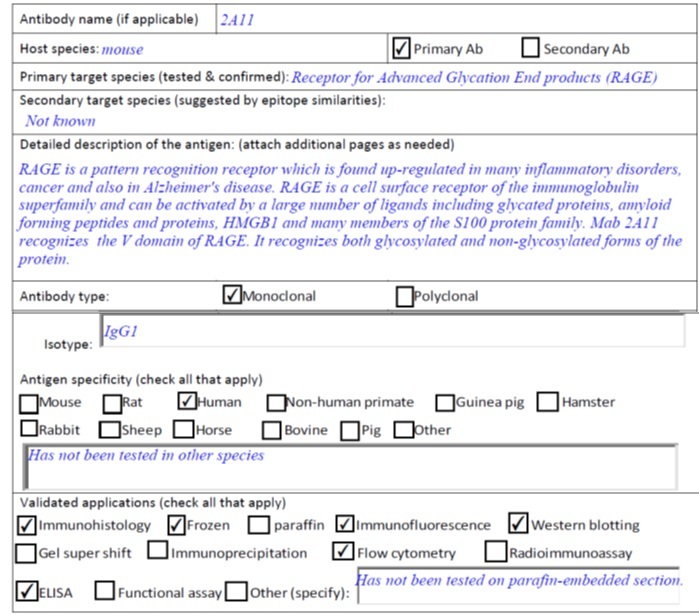 Illustration and antibody specification figures are shown below. The antibody has been non-exclusively licensed to multiple licensees for research purposes.